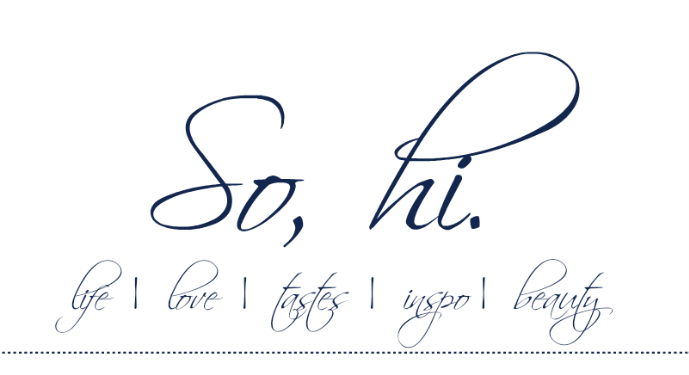 So, Hi: BEAUTY | eyelash extensions. Today I wanted to talk about my experience with eyelash extensions. The process, the commitment, the expense, the upkeep, etc. I have had a lot of friends asking me questions since I have gotten them so I figured I would designate a blog post to answering all of those questions. First of all, do I think they are worth it? The short answer: yes. Yes, I love them, it makes getting ready in the morning much easier/quicker. I feel prettier going out without any make-up, and just overall they make my entire look look even better. I will say though, if I had other commitments (i.e. children, extra bills, etc) these would definitely be the first "luxury" to go. In the mean time, while I am young and have some extra money I am going to keep them. With that being said, if you do decide to get them here are some things you should know beforehand. First - The cost. This is definitely something that you need to know prior to making the commitment to eyelash extensions. And yes, that's right, it's a commitment. The first application costs between 100-300 depending on where you live - honestly it could get even more expensive in more affluent parts of the nation. After the first application you then have to get the lashes refilled every month (the length of time your natural lashes fall out) and that is usually between 50-100 dollars. Second - The process. The first application took me about 2 hours. Here's the run down on what happens exactly. You go into the little room, lay down, the beautician puts some sticky eye things under your eyes so she doesn't have to worry about your lower lashes getting in the way, and she begins applying each individual lash extension to your natural lash with a super strong eyelash glue. It's definitely a process, so if you are a mover and a shaker - this probably isn't the thing for you haha. Some people fall asleep and others, like myself, make some small talk with the beautician. Regardless, you are laying down for an extended period of time and you can't really move around. Third - Upkeep. The thing that scared me the most about eyelash extensions was that it is recommended to not wear any eyeliner/mascara with a certain kind of chemical in it because it will mess around with the glue in some scientific way that I do not know how to articulate. Listen folks. I'm an eyeliner girl. I love a cat eye. So this was very worrisome to me. BUT you know what I did? I searched long and hard for an affordable all natural eyeliner that could do what I needed, I couldn't find one I was happy with, so I just used my normal eyeliner. And you know what? My lashes stayed on so crisis averted haha. BUT - I never wear mascara (ok I did on my wedding day but that was because I needed to be extra) or waterproof makeup. I also take my makeup off with a normal make up wipe as well, I am just extra careful when taking my eyeliner off so I don't tug on my lashes. So yea, I don't really follow all of the rules to keep the lashes on longer, but I've been happy with how long mine stay on, so I'm not changing anything. Also - you are supposed to brush them at the beginning and end of the day with a normal spooly brush (mascara brush) which really isn't difficult at all. Just keeps them in their place when they decide to go crazy after a night of sleep. My experience with the extensions has definitely been positive and worth the money I have spent. Here is a link to the lovely lady that does mine if you are from around my area - I definitely recommend her. If you have any other questions, feel free to ask. I'm sure I didn't answer them all, so if you have them shoot. Thank you so much for taking the time to comment on the blog! I will try to respond to as many comments as possible. If you would like a quicker response, please email me (rachg.423@gmail.com) or tweet me (@sohirach)! 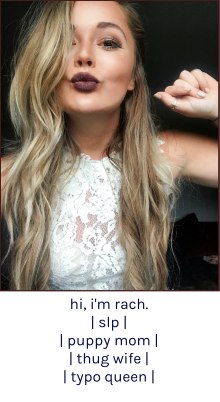 If you feel the need to take any of my work, please email me at rachg.423@gmail.com for permission. Powered by Blogger.